Market Equations has worked with several boutique consulting firms and some of the largest Research & Consulting organizations in the world, across multiple geographies spanning 11 countries. Our clients respect us for our expertise in Market Research and Analysis and the professionalism we bring into the relationship making their outsourcing experience truly remarkable and hassle free. From simple data tables with descriptive statistics to applying advanced multivariate statistical techniques to survey data; Market Equations brings in decades of expertise in managing market research data from studies on varied topics and sizes including large multi country tracking studies. Market Equations India offers Survey Data Tabulation services to help organizations transform their survey data to meaningful insights. We accept data from our clients in varied formats including Excel, .csv and .sav (SPSS data file). Our researchers use tools such as SPSS, Win Cross and Quantum to ensure a very high quality output. We also apply statistical tests and weights on the results based on client specific requests. The data tables are delivered in MS Excel and/or MS Word. Key Services: Verbatim Coding, Cross Tabulation, Statistical tests. From simple descriptive statistics to decision focused multivariate statistical techniques; Market Equations offers a one stop solution for all your Survey Data Analysis requirements to help you derive scientific and measurable insights from your data. 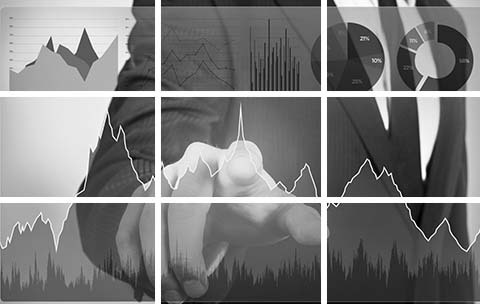 We provide analysis results based on client requests ranging from simple regression and correlation outputs to providing complex analysis outputs backed by a graphical presentation (PPT) with interpretation of the results. We also provide Statistical Consulting services on request. Our statisticians use tools such as SAS, SPSS and statistical R to ensure a very high quality output. Key Services: Factor, Cluster Analysis, Segmentation, Key Driver Analysis, Statistical Conjoint, Max Differential Analysis, Structural Equation Modeling (SEM), Price Sensitivity Analysis. We prepare customized presentations for our clients that drive the message across to the end listener. Our team goes beyond presenting chunks of data to ensuring it reflects the brand in a positive manner to the end user. We love to keep presentations simple but also acknowledge complexity when apt. Our PowerPoint services include simple data posting from spreadsheets to clients template, creating charts from data tables to complete presentation services with interpretation of results and summaries. Key Services: Data posting, creating charts from tabulated data, quantitative and descriptive summaries, automated dashboards. Shrinking Market Research budgets, fierce competition and unavailability of skilled resources have put tremendous pressure on Market Research and Management Consulting firms globally to remain profitable and competitive at the same time. Market Equations India offers Market Research Survey Data outsourcing services to organizations globally combining a team of highly experienced industry veterans and Research professionals with a competitive cost - quality service mix helping decision makers globally derive incremental value by outsourcing their Market Research Survey data services to India. Market Equations has worked with numerous boutique consulting firms and some of the largest Research & Consulting organizations in the world, across multiple geographies and spanning 11 countries. From simple data tables with descriptive statistics to applying advanced multivariate statistical techniques to survey data; Market Equations India offers cost effective market research survey data outsourcing services bringing in decades of expertise in managing market research data from studies on varied topics and sizes including large multi country studies.